I was mindlessly scrolling through facebook, quickly passing by the #blessed beach selfies and the generic click bait articles until one click bait image forced me to stop and eye roll. Underneath a suggestive photo of a man and a woman, the tagline went something along the lines of; "What underwear should you be wearing for him? Hint. A thong. Always a thong". Maybe I have came across way too many of these types of articles on the internet and in magazines but it is getting to the point where I am no longer fed up of them, but frustrated with them. What gives someone the right to tell women what they should wear? And it is either for him or to look like a better version of you. Comfort is not an option when you chose your outfit. That baggy tee and full briefs just will not do in society and you will be single forever #firstworldproblems. I read it on the internet, it must be true. This isn't about thongs or tight clothing. Personally, I can't get enough of a bodysuit and skirt combo. I stick by my opinion that you can wear what you want. What I don't agree with is being made to feel that we have to wear something to please others or because we read it in a magazine. I will wear a maxi skirt if I want, despite Glamour mag saying you can't unless you're over 5'5 and I will wear underwear that covers my bum. I choose clothes because I like them and they make me feel good, but those types of articles can be toxic to a younger reader, just when they're at there most vulnerable, still trying to find there own style, they are then given the added pressure of appealing to other people while following "The Rules of Fashion as told by the media". Le Sigh. Who made these rules? And what scientific experiment prove that men love women in thongs? Or that we even have to dress to please them? Dear God, when will it end?! I know that there are certain styles of clothes that suit others better. I look ridiculous in quarter length culottes but my friend who comes in at 5'8 looks like she just walked off the catwalk. There's different cuts of clothing to tailor to different shapes and so advice can be given with that. I hesitantly wrote a post on crop tops and body shapes, not as a rule book but as a suggestive guide. 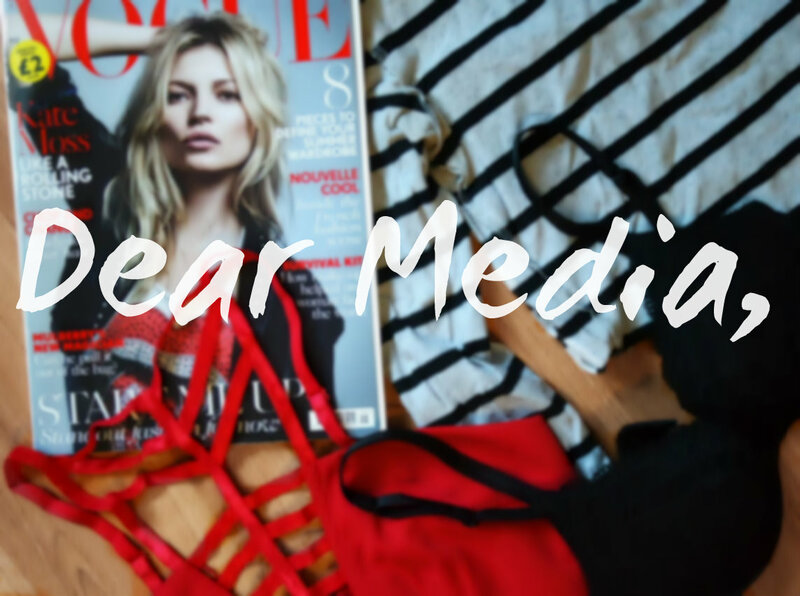 I was so hesitant to publish it due to the fact that I don't want anyone feeling like they are bound by fashion rules and have the feeling of getting told what to wear. We had enough of that at school right? (God forbid if you bought navy trousers instead of black). A lot of these click bait, shallow articles are dotted around Facebook and with so many teens on it, they have easy access to the words that can stick with them. We do not need to be told what to wear. We do not need a list of dos and don'ts constructed by what is classified as sexually attractive, nor do we have to dress to be sexually attractive. We can if we want. But not because "Writer Jeff" tells us to.